Ukraine holds the first round of this year’s presidential election on March 31, and the top contenders have many in Ukraine and elsewhere shaking their heads. 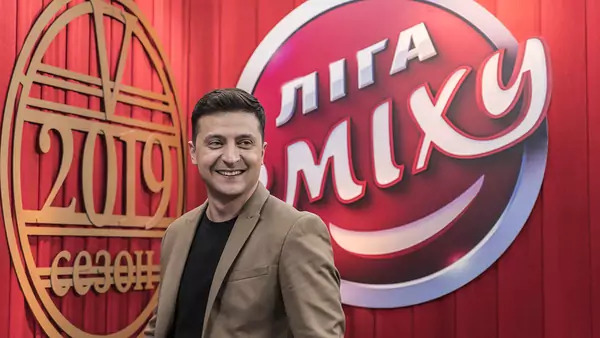 Leading the polls is a television comedian with no political experience and no organized party behind him, Volodymyr Zelensky. He seems likely to be one of two finalists in a second round of voting, to be held on April 21. Vying for the other runoff spot are incumbent President Petro Poroshenko and former Prime Minister Yulia Tymoshenko. All three of the main candidates, among more than thirty in the race, have taken broadly similar positions on the big issues of the day: pervasive corruption (they’re against it, they insist); Russian aggression (also against); close relations with the European Union and the North Atlantic Treaty Organization (all in favor); and economic growth (all for that too). Yet this superficial consensus has not made for a boring campaign. The polls remain volatile, scandalous allegations have been met by scandalous counter-allegations, and fears of Russian interference or military escalation are widespread. Voters have clearly not decided whom they trust to handle the nation’s problems. In nearly three decades of independence, Ukraine has only once reelected a sitting president—Leonid Kuchma in 1999—and that was a kind of fluke, since Kuchma was lucky enough to face the head of the Communist party in the runoff. Ukrainian voters clearly believe that power corrupts and that all presidents do a bad job. But this record of discontinuity is not the only reason to think Zelensky could be the people’s choice. The regional, religious, and linguistic divisions that shaped Ukrainian politics for years have become less decisive. In the 1994 election, Eastern Ukraine’s candidate, Kuchma, defeated the west’s candidate, Leonid Kravchuk. When Viktor Yushchenko defeated Viktor Yanukovych in the 2004 Orange Revolution, it was the other way around. This year, all three top candidates are from Russian-speaking areas. Zelensky is Jewish. But regionalism and identity matter less now in Ukrainian politics. War with Russia has helped unify the country, and the loss of Crimea has shrunk the ethnic Russian electorate. As for anti-Semitism, Ukraine ranks in polls as Central and Eastern Europe’s most tolerant country at a time when trends in the region run disturbingly in the other direction. Ukraine has long embraced politicians with contradictory personas. Critics and supporters alike wonder whether Zelensky is the character he plays on TV—someone who tells truth to power and takes on corruption—or a tool of oligarchs. A corrupt and controversial billionaire owns the TV channel of Zelensky’s show, and no one seems to believe that it’s a business connection of no political significance. But voters may not care. Poroshenko won the presidency in 2014 as a change agent, while being a billionaire fat cat. In Ukraine, this pattern is an old one. Before the Orange Revolution, Yushchenko had been Kuchma’s prime minister (just as Kuchma had been Kravchuk’s). Poroshenko does have one hope. Since independence Ukraine has had two types of presidential elections: ones marked by high mobilization and throw-the-rascals-out rhetoric, and ones in which the message is to throw the rascals in and go back to sleep. Yanukovych’s victory in 2010 was the second kind—a choice for stability. Though he had been rejected in the 2004 vote, six years later the country seemed done with revolution. To prevail this time, Poroshenko depends on the same sort of popular resignation. After the 2014 Maidan demonstrations, he won an historic time-for-a-change election. Today, almost half of voters say they will not support him under any circumstances. In this setting, he needs a steady-as-you-go, devil-you-know, back-to-sleep mandate. The Ukraine that will choose its next president in April is less divided than Ukraines of the past, obliged (as always) to choose among flawed résumés, still hostile to incumbents, and energized one moment, exhausted the next. Poroshenko is counting on exhaustion to prevail.